This is a testing doll that can flip up a real skirt. A flex sensor which attached inside the skirt of the doll is connected to Arduino. 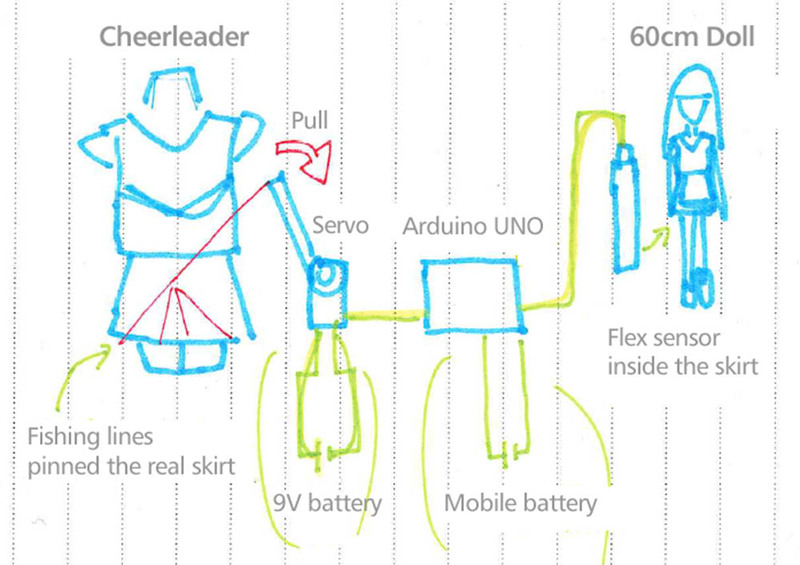 If you flip up the skirt (a flex sensor bended), a servo which connected Arduino is driven. 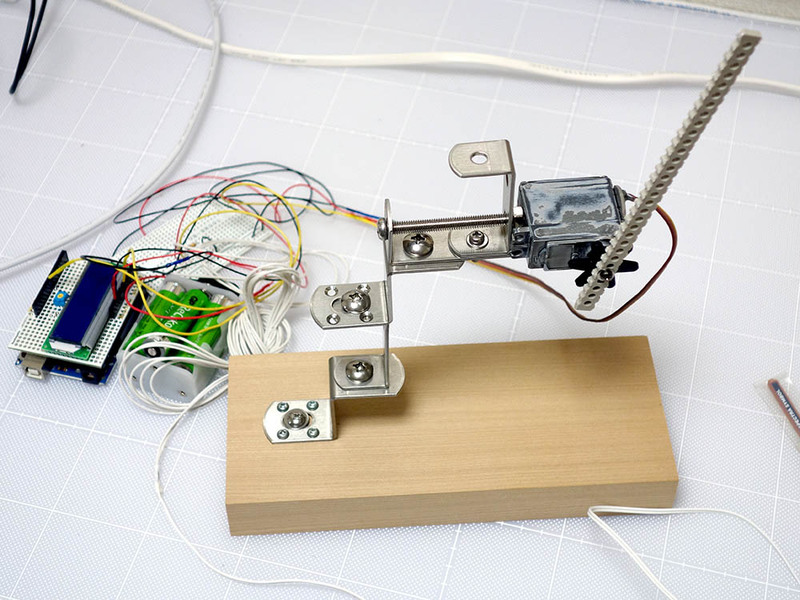 The servo pulls a fishing line that pinned with the real skirt. And so you can flip up the skirt by the doll. 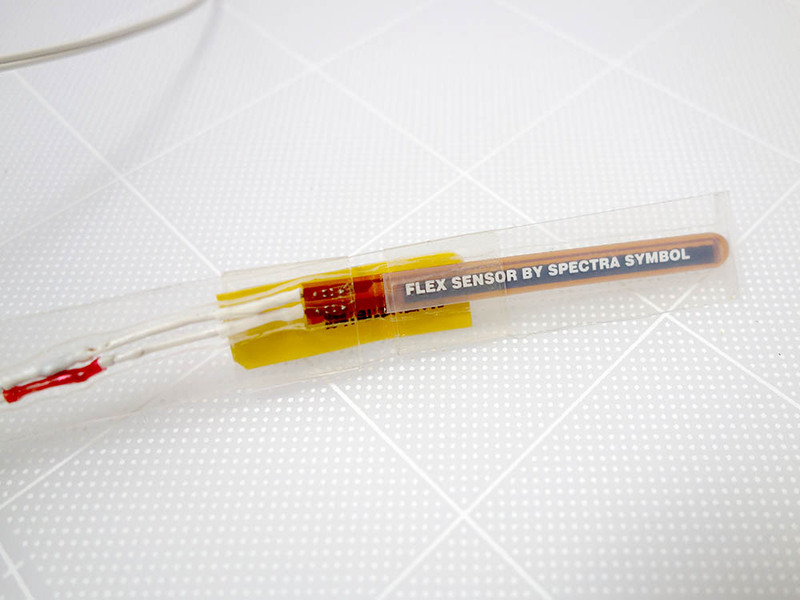 This is the flex sensor attached inside the skirt of the doll. This device is the servo and a stick. it pulls a fishing line that pinned with the (real) skirt. This is a photo of flipping up the skirt by me. By the way, I love cheerleaders that’s why they’ve worn the cheerleader costumes.